Welcome! Grady Christie: Welcome to the Flavors site of Grady Christie. Tonight is the premiere of Westworld on HBO I remember watching the classic 1973 movie as a child and how exciting it was. Looking forward for this remake and can only imagine how far they have come with improving the effects. 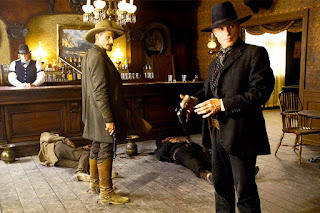 Ed Harris is perfectly cast as the infamous gunslinger in black.